If you are homeschooling a child who hates to read, I feel your pain. 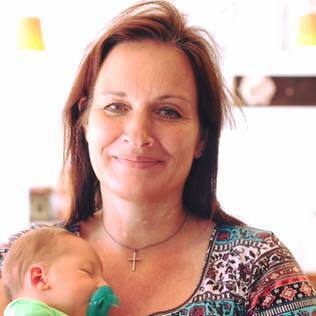 I have been struggling against this common homeschooling problem with my three boys for years. I have heard and read lots of advice on how to get children to not hate reading, but we are not there (yet). But what I have found from the past 5+ years of homeschooling is that there are many other ways for kids to learn besides reading something in a book. 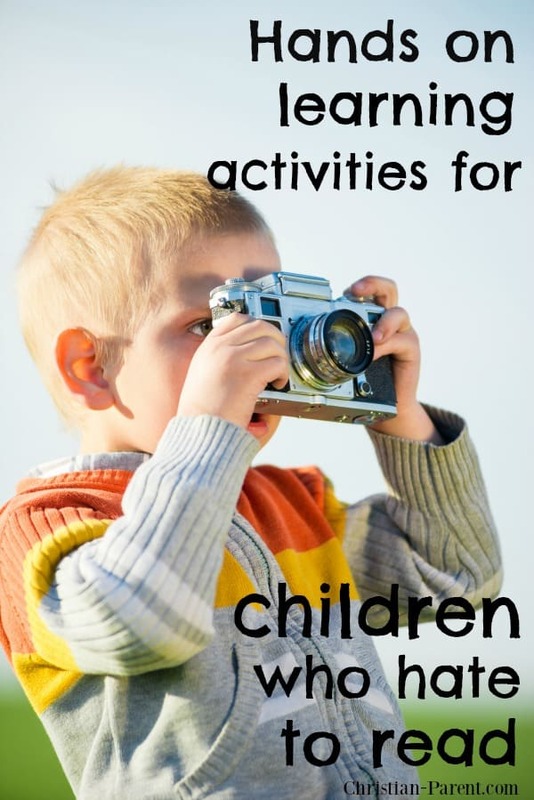 Here are some hands-on learning activities that will help inspire your kids who hate to read. In elementary school my boys all learned about science from doing hands on science kits. Some are more expensive than others, but Amazon has a number of fairly inexpensive ones that are great learning tools for teaching science to kids. 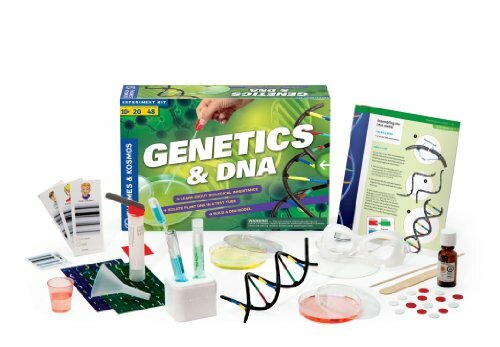 I have two boys in middle school this year, and I just ordered this Genetics & DNA science kit for them from Amazon. I’m excited to dive into it with them. It got great reviews on Amazon. Another popular science activity for kids is these snap circuits. They have kits for different ages and abilities, with starter kits to more advanced. The beginners set is for ages 8 and up. 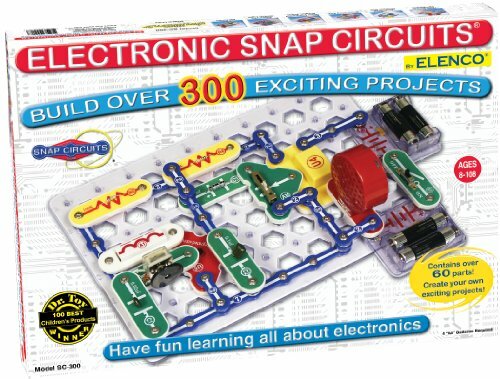 These snap circuit sets feature more than 300 projects, such as making an AM radio, a doorbell, and a burglar alarm. This slightly larger set has more than 500 STEM projects for your kids to explore. These snap circuits are a great way to introduce your children to electronics, and they can work together on these projects too. When I first started homeschooling, it was very frustrating to me that my boys didn’t want to read. I was born loving to read. Seriously. I just don’t get how someone can not like to read. One of the first things I did to make sure that my boys were getting to enjoy some of my favorite childhood stories (which they did like, by the way), was by listening to them on audiobook. There are several ways to listen to audiobooks. Your local library likely has a selection of audiobook CD’s you can check out. Some libraries have the ability to let you listen to audiobooks online. The problem with CD’s, however, is that not everyone has easy convenient access to a CD player anymore. If you don’t have any of these options (we live in a rural area and don’t have these library resources without paying for them), there are several other options available to you. Librivox is a great free resource for audiobooks that are in the public domain. You download the app to your phone or tablet and then can listen to a wide range of public domain books for free. You will find that many books have been narrated by more than one person (Librivox is staffed by volunteers like you and me). Sometimes it takes a few tries to find one you like, but there are some hidden gems in there! After you find a narrator you like, see what other books they have narrated. Some of the books we have enjoyed on Librivox are: Laddie, Secret Garden, and Little Men. The also have classics like Treasure Island, Swiss Family Robinson, The Road to Oz, and many more. If you want to listen to more recent titles you will have to sign up for an Audible subscription through Amazon. 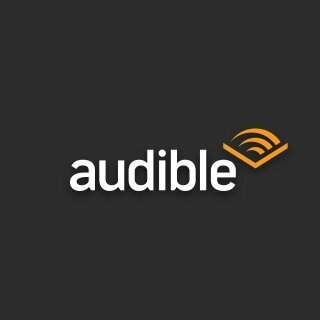 It is the only online resource I’ve found to easily be able to listen to newer audiobooks. You get two free audiobooks when you sign up then you get one book a month with a $15/month subscription. You can cancel your membership at any time, and you get to keep the books you’ve purchased and listen to them through their free app. We are going to sign up for Audible this month to start listening to Louis L’Amours Lonesome Gods at night before we go to bed. I can’t wait! If your kids are interested in learning how to play an instrument and you don’t have access to a teacher, there are some great online resources for teaching your kids to play an instrument. Some studies have actually shown that learning an instrument helps a child with their reading. Hoffman Academy is a great resource for learning how to play the piano or electronic keyboard. A lot of homeschoolers use their resources with great success. My youngest son went through a bunch of their free lessons and learned a ton. He really enjoyed their step by step video tutorials. They were entertaining and very easy to understand. 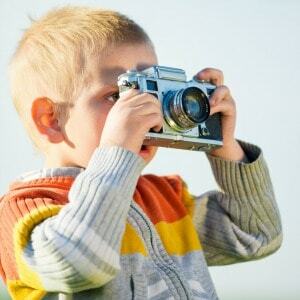 Another hobby that I have encouraged all three of my boys to take up is photography. Photography is something I have taken up myself, and I have been excited to share what I have learned with my boys. Surprisingly, they have all shown some interest in my new hobby. 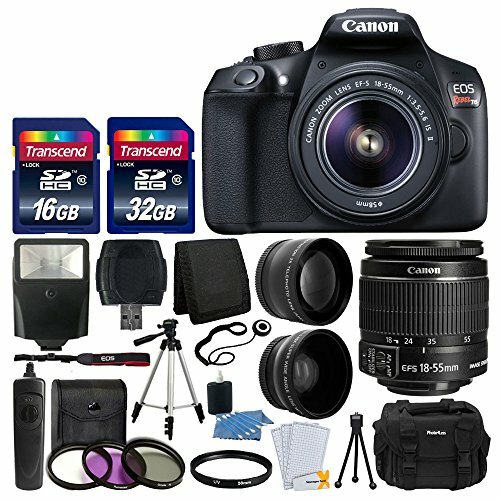 I picked up an older Canon Rebel DSLR camera on Ebay, and started taking photos. I soon was hooked, and encouraged my boys to take photos too, soon realizing that they enjoyed it too. There was so much to learn about using a digital camera. 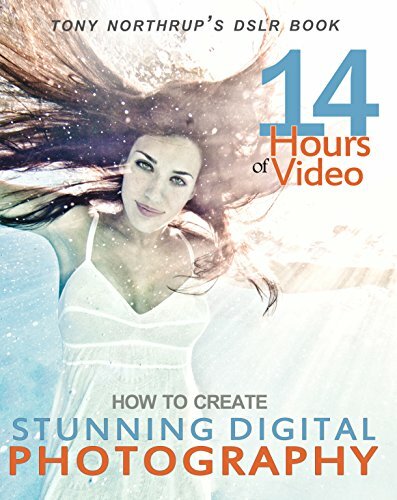 It was really intimidating at first, but then I stumbled across this great book called Stunning Digital Photography. Ha ha yes I know I said there would be no book reading talked about here, but I took the time to read the book to share what I learned with my boys. You can get this book in paperback or for your Kindle. It is very inexpensive, and it comes with 14 hours of video instruction that I am having my boys go through with me. I always thought that taking good photos just required knowing how to use a camera, but there is so much more to it than that. It also requires creativity to capture the photos that people love to look. Turns out my boys do have an eye for photography, and they have had a lot of fun taking photos of our menagerie of farm animals. They all have a favorite chicken, duck, turkey, cat, etc. to take photos of. All three of my boys entered photos they had taken into our local county fair this year and all of them won blue ribbons for their photos. My 9-year-old won the grand champion award in the youth category for a stunning photo he took of one of our roosters. What I have found is that even if my kids aren’t always excited with the ideas I come up with of learning activities for them to do, that doesn’t mean they don’t end up having fun and learning something anyway. You just have to be creative and keep trying until you find something that sparks their imaginations. And in case you’re wondering, I DO make them read…some. They just don’t naturally enjoy it. That’s why I’m passionate about finding other ways for them to learn. A wide range of learning experiences is necessary to raise a well rounded child. Like this article? Check out my favorite hands on science experiments for kids ages 7-12. You might also like this reading curriculum for reluctant readers. Follow me to find more homeschooling ideas on Pinterest. Next Next post: Is Your Toddler Ready to Start Potty Training?